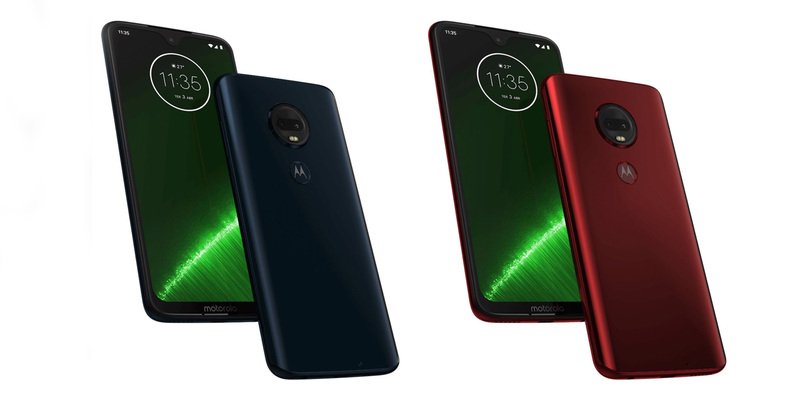 Press renders of the Moto G7 series have leaked online. The leak comes courtesy of Ishan Argarwal and MySmartPrice. The leak includes the G7, G7 Plus, G7 Play and the G7 Power, as well as European pricing for two of the devices. The leak suggests that the entry-level G7 Play will cost €149 ($224 CAD), while the G7 Power — Power because of its 5,000mAh battery — will cost €209 ($315 CAD). Should Motorola release the G7 Play and G7 Power in Canada, it’s likely they’ll have similarly low-cost pricetags. The tweet doesn’t mention the pricing for the Moto G7 and G7 Plus. The tweet also indicates the phones will come in a variety of colours, including black, white, red, blue, gold and purple. According to the leak, the G7 Play and G7 Power will feature iPhone X-style notches, while the other two will sport waterdrop-style notches. All four handsets will feature thick bottom bezels. Lastly, the G7 Play and G7 Power appear to include one main camera each, while the G7 and G7 Plus appear to feature dual rear-facing cameras. Motorola may unveil the Moto G7 series at Mobile World Congress in February.